Jane Yellowrock is a Skinwalker, possessing the power to shift into any animal’s form. She is the only one of her kind to her knowledge and guards her secret fiercely. Raised in a children’s home from the age of 12, she has no recollection of her time before this. In fact she’s not entirely sure how old she actually is. One thing she does know, even for a Skinwalker she isn’t entirely normal. Alongside her own, another soul inhabits her body, known to her only as Beast. When a rogue starts killing civilized vampires and humans, Jane is hired by the Vampire Council of New Orleans to stop it by any means necessary. Being hired to kill rogue vampires is nothing new for Jane. Being hired by vampires, on the other hand, is. In serious need of cash she isn’t about to turn a job down, despite her aversion to bloodsuckers. With Beast’s help Jane begins to hunt the rogue, but with vampire politics rife she has to draw on all her (and Beast’s) experience to fully uncover what is going on. 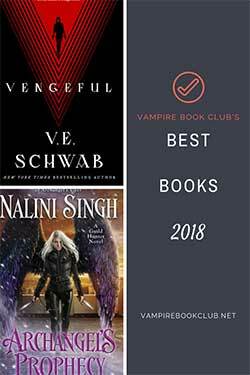 As time begins to tick down Jane learns more about vampires and their human servants than ever before, and slowly begins to piece together the mystery of her own past. Jane is self-assured, sarcastic and in no way in need of rescuing. She isn’t there to make friends, and it clearly takes a lot for her to trust anyone. As she begins to make contact with various players in the supernatural world, each conversation is filled with subtext and ulterior motives. Since we are reading from Jane’s point of view, it was great to try to figure each character out alongside her. While no specific romantic connection is made, there are some interesting contenders, leading to the potential of one in future books. The world Faith Hunter has created is very intricate, particularly when it came to the Skinwalker mythology. Jane’s shifts are dependent on rituals and talismans but there was a scientific element to them as well. Jane’s Cherokee heritage not only plays an important role in the mythology, but also her as a character. During most of the shift scenes, the narrative is handed over to Beast, where the writing style is distinctly different to Jane’s. The relationship between the two souls is very complicated, as they struggle for alpha status. As the mystery of how they became joined unfolds, the dynamic changes, and was easily my favorite part of the book. The only downside to Skinwalker for me was the pacing. There was a definite lag toward the middle, with much of Jane’s time spent collecting information on the vampire families or tracking the rogue. Though I enjoyed the thoroughness of her investigation, I found myself putting it down and not feeling that burning desire to pick it back up again. That being said, the amount of information lead to an action-packed climax with plenty of twists. 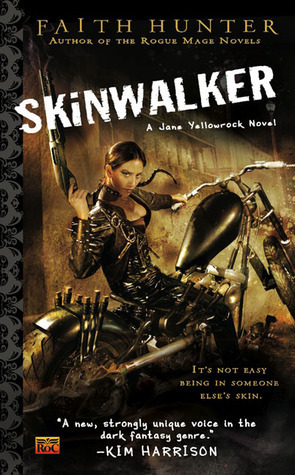 Skinwalker is a complex and layered urban fantasy with tons of mystery and stand-out characters. Even though it was a tad slow at times, the rich world building and overall story arc makes me want to pick up the next in the series. This series gets better. 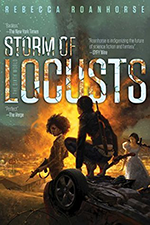 They seemed “a tad slow” as you say and I thought about giving up on this one but either I got used to her writing style or something but I’m definitely sticking with it now – the one that just came out was the best yet. I mean to add…great review, Jo! I’ve been wanting to read this one too! Thanks for the review! This series has been on my TBR list for a long time. I need to get started with it! This is one of my favorite series. I didn’t find the story lag that you did. Maybe because I listened to the audio? I find the author/narrator team of Faith Hunter and Khristine Hvam amazing. If you have not had the chance, pick up the audio, even if it is from the library, and give it a go. You won’t be disappointed with the read/listen. I can’t wait for book 7 “Black Arts” this winter! There are a lot of acronyms used in these books. I’m reading book 3, Mercy Blade, and have just come across an acronym RMBC which I don’t remember seeing before. Is there a list of these, and their full meanings? How can I find the meanings of acronyms that might have been explained in Books 1 or 2, but which I can’t remember now that I’m in Book 3?